We invite you to contact us today to discuss your care. Please don't hesitate to call us at (402) 806-4317. Offering you a balanced approach to chiropractic and acupuncture. For more information or to schedule an appointment with our Beatrice chiropractor, call 402-806-4317 today! 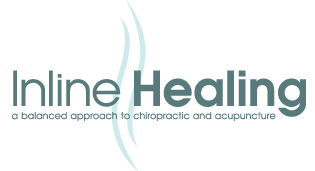 Welcome to Inline Healing-a balanced approach to Chiropractic & Acupuncture. At Inline Healing, we focus on the patient’s overall health. We strive to deliver the best care possible with knowledge and compassion always keeping the patient’s needs in mind first. We specialize in treating a variety of health conditions with the goal to eliminate the cause of your health problems. We understand that not every patient is the same, and treat each patient as such. By actively working together and implementing patient education, we can help you lead a healthy and pain-free lifestyle. Excellent care every time I go. Dr. May provides excellent adjustments and lets me know when I need to apply ice or warmth! I always feel so much better after my appointments. I have had a good experience. Wasn't promised a magic cure but thought I could be helped. I did have some pain relief that enabled me to be more active.